Dry needling is a technique used in physical therapy to treat muscle dysfunction, including tightness, pain, spasm, and trigger points. The goal of this procedure is to reduce pain, improve ROM, and restore function. This is a powerful technique that can relax tight, painful muscle tissue. Dry needling is a minimally invasive treatment where a thin, monofilament needle is inserted into dysfunctional muscle tissue. Research has shown that the effects of dry needling include increased blood flow, decreased muscle tightness, and an increase in Beta-Endorphins which act as the body’s natural pain reliever. This technique is a great compliment to typical hands-on PT care. As with any physical therapy visit, your physical therapist trained in dry needling will perform a comprehensive musculoskeletal evaluation. He or she will use their extensive knowledge of anatomy and biomechanics to establish a physical therapy diagnosis and develop your plan of care. During your evaluation, if the PT finds muscle problems that would respond well to dry needling, they will discuss this treatment option with you. Not every patient referred to PT is a candidate for dry needling, and it is during the evaluation where those pathologies which would respond best are identified. Dry needling has the most benefit when it is incorporated as a part of a traditional physical therapy plan of care and positive results are typically seen in 2-4 sessions of dry needling. This technique takes 10-15 minutes and is incorporated into your normal PT treatment session which will also include exercise and manual therapy as prescribed by your PT. Problems that respond well to dry needling include muscle injuries resulting in low back pain, sciatica, plantar fasciitis, knee pain, shoulder pain, and neck injuries to name a few. As mentioned above, the goal of physical therapy is to reduce pain, improve ROM, and restore function and dry needling is a treatment to help achieve that goal. A common misconception about dry needling is that it is that same as Traditional Chinese Medicine or acupuncture. The only similarity between the two treatment techniques is the actual needle. Needles designed specifically for dry needling have been developed and are currently being used at Body One. The focus of traditional acupuncture is the insertion of the needles in specific acupuncture points or “meridians” of the body. The ultimate goal of acupuncture is to restore normal flow of the “life force” energy within the body to promote overall healing and wellness. Dry needling is directed more specifically at individual muscles, relieving pain and trigger points in these specific muscles, and restoring functional movement. Are There Risks Associated with this Procedure? As with many medical modalities, medications, and procedures, there are risks associated with dry needling but complications are extremely rare. In a recent study, incidence of adverse events due to dry needling provided by physical therapists were studied (Brady et al., 2013). In over 7,600 documented treatment sessions, the estimated risk of serious adverse events were ≤ 0.04%. This is in line with other physical therapy treatments such as manual therapy (Carnes et al., 2009). Prior to your treatment, your physical therapist will explain all the possible risks and together you can make an informed decision if dry needling is right for you. Will this Procedure be Painful? Everyone experiences pain differently, but most patients do not feel the insertion of the needle. The most common “painful” sensation occurs when a local muscle twitch response is elicited. This is typically described as muscle “cramping” or “deep muscle ache” that lasts 1-2 seconds. Most patients have decreased pain and increased mobility immediately after receiving dry needling. However, some patients may experience muscle soreness after treatment, similar to post-workout muscle aching. This soreness usually resolves after a few hours. Typical post treatment care includes: mobilization, stretching, specific exercise, ice and/or heat. Dry needling is a relatively new and very effective treatment used by physical therapists to treat muscle pain and dysfunction. The technique is implemented by highly trained therapists and is utilized as a compliment to traditional physical therapy treatments. If you are interested in learning more about dry needling, please refer to Kinetacore.com or email Mike Ploski at mploski@bodyonept.com or Chelsea Savage at csavage@bodyonept.com. Schedule an appointment for treatment at one of our four locations. 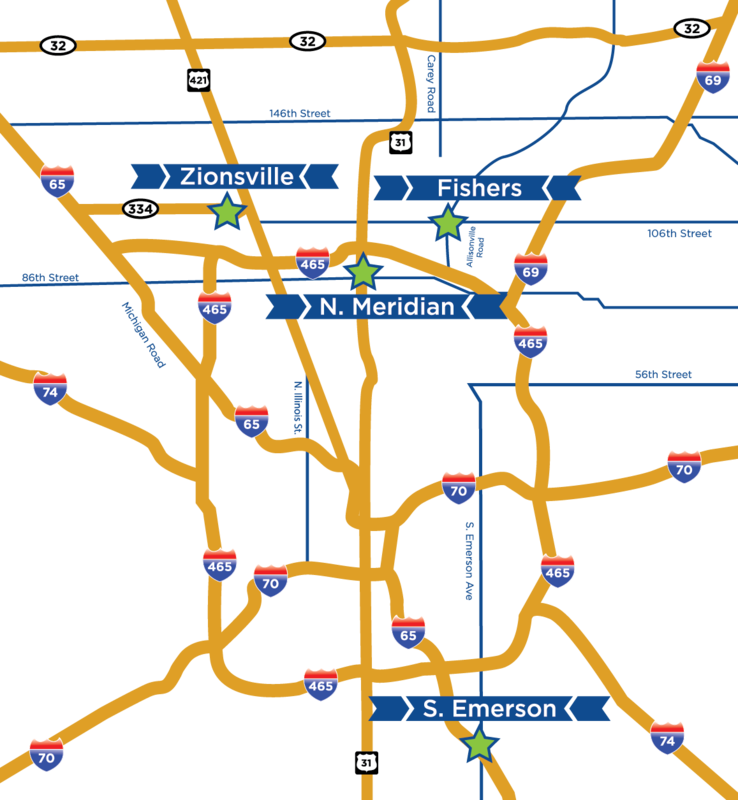 Contact our North Meridian Office (317) 581-1890, our Zionsville office (317) 733-2800, our Fishers office (317) 567-8500, or South Emerson office (317) 889-5340.